Charles J. Swayze Jr. - Mediator & Arbitrator based in Greenwood, Mississippi. Whittington, Brock & Swayze, P.A. If you’d like a list of available dates for Charlie Swayze, please submit a request below. You will hear back directly from Charlie's assistant, Lisa Mims. Mr. Swayze has experience as a lawyer in civil and criminal litigation; commercial transactions; real estate and personal injury. He has taught Business Law at Mississippi Valley State University, Trial Advocacy at the University of Mississippi Law School, has made classroom presentations at Mississippi College School of Law and has taught at various ADR seminars. Mr. Swayze has served as mediator in approximately 600 cases; has been engaged as an arbitrator in approximately 100 cases and has been appointed as a special master in approximately 12 Circuit and Chancery Court cases. 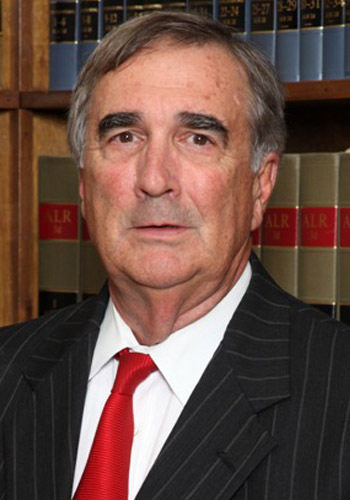 The Mississippi Supreme Court appointed him as a Special Circuit Judge in Katrina related cases on the MS Gulf Coast. He is also a court-accepted expert witness in the area of reasonable attorney s fees. 1959-1962 Greenwood High School, Greenwood, MS.